Men exposed to pesticides during their teenage years could end up having abnormal or defective sperm and infertility problems, according to a new study. Organochlorines are pesticides that were commonly used in the U.S. throughout the 1950s to the late 1970s. These type of pesticides, which include dichlorodiphenyltrichloroethane (DDT) and polychlorinated biphenyl (PCB), were used in agriculture and farming to kill insects. They were also commonly used in lawn care products. Organochlorines were banned from the U.S. in the late 1970s after it was discovered that they could harm the environment, as well as the health of animals and humans. They have been linked to cancer and endocrine disorders. While they are now banned in the U.S., they can still be found in the environment, as well as meat, fish, and dairy products. They are still used in many countries around the world. The new study, published in the journal Environmental Health Perspectives, found that organochlorines may damage men’s testicles and result in defective sperm. The researchers studied 90 men who lived in the Faroe Islands. Inhabitants of the Faroe Islands are exposed to a greater amount of organochlorines due to the large amount of fish they eat in their diets, including whale blubber and shellfish. The researchers analyzed the men’s blood for organochlorides. For 33 of the 90 men, the researchers also obtained blood samples taken from when the men were 14. The researchers also analyzed sperm samples from the men, looking for a condition called uniparental disomy, in which the sperm has an abnormal amount of chromosomes. Disomy is associated with infertility and pregnancy losses. According to study findings, men with higher levels of organochlorines were found to have higher rates of defective or abnormal sperm. Not only was this true of the men who had organochlorines in their current blood samples, but men who were exposed to the pesticide as teenagers also had similar rates of abnormal sperm. The findings indicate that infertility can be linked to exposure to these pesticides, as well as other possible environmental pollutants. The researchers concluded that there was a link between organochlorine exposure and sperm abnormalities and that further research should be conducted on how these pesticides affect the development and functioning of testicles. “This study, and others like it, suggest that any decisions about putting biologically active chemicals into the environment must be made very carefully as there can be unanticipated consequences down the road,” said Perry. For people worried about exposure to organochlorines, researchers recommend lowering the amount of fatty meats and seafood in their diets. In particular, shellfish are known to have a high rate of organochlorines. Bienkowski, B., “DDT’s long shadow: Long-banned chemicals linked to abnormal sperm,” Environmental Health News web site, November 4, 2015; http://www.environmentalhealthnews.org/ehs/news/2015/nov/ddt2019s-long-shadow-long-banned-chemicals-linked-to-male-infertility. Scutti, S., “Teens Exposed To Pesticides May Develop Abnormal Sperm Associated With Infertility,” Medical Daily web site, November 4, 2015; http://www.medicaldaily.com/teens-exposed-pesticides-may-develop-abnormal-sperm-associated-infertility-360052. 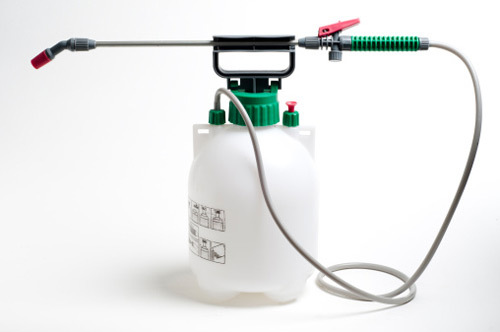 Whiteman, H., “Pesticide exposure during teens linked to later-life sperm abnormalities,” Medical News Today web site, November 4, 2015; http://www.medicalnewstoday.com/articles/302012.php.